The super-cute Slow Loris is threatened to extinction due to the exotic pet trade: many people think they’re cute and want to keep them as pets. 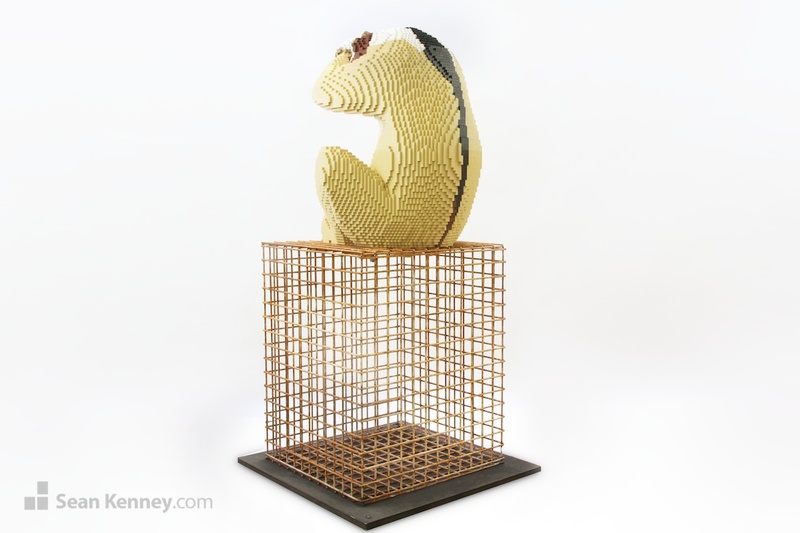 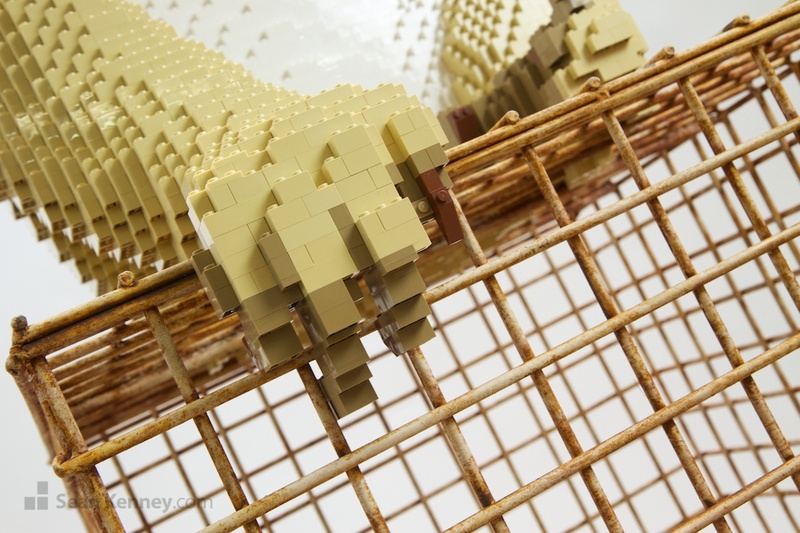 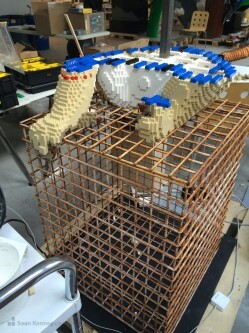 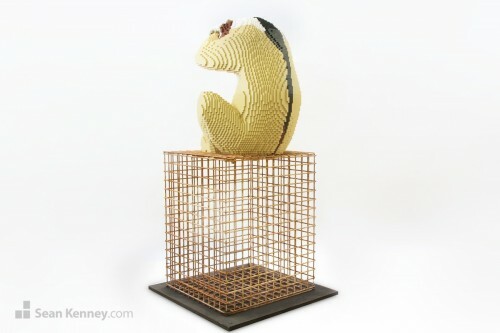 We opted to build the sculpture sitting atop a cage to symbolize the creature’s capture and domestication. 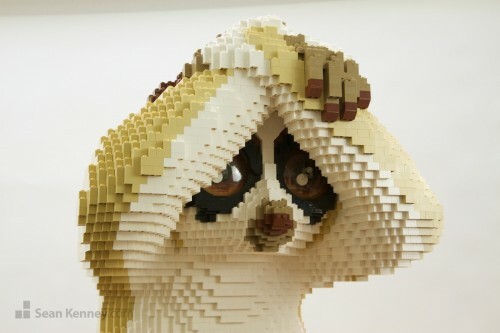 This pose is the loris’ “danger pose” but many owners think the creature is just being cute. 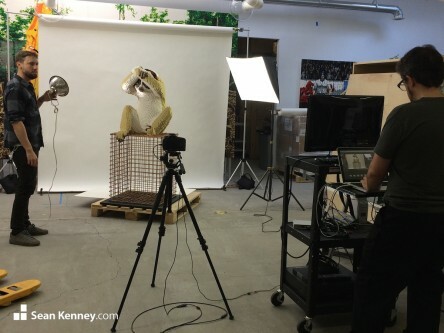 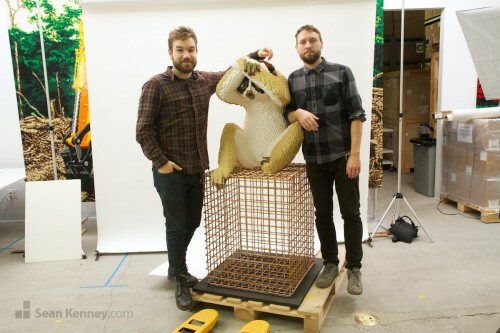 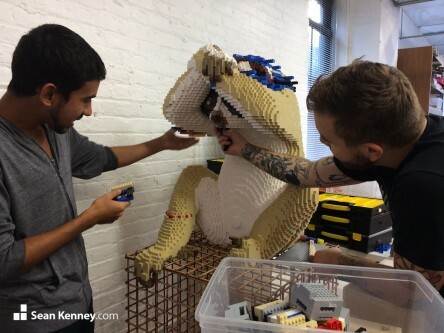 The 3-foot-tall loris sculpture is over 5 feet tall on its base. 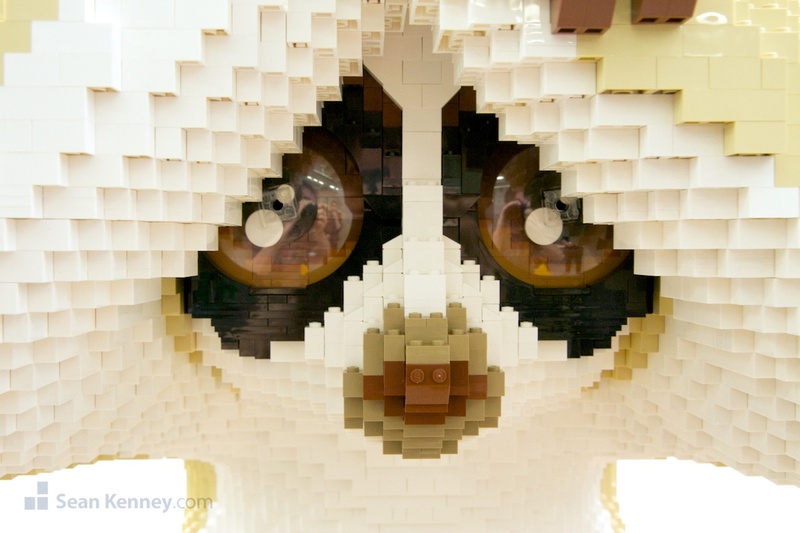 It took 11 weeks to design, weld, and build with nearly 10,000 LEGO pieces by my assistants Geoffrey, Natsuki, Luis, and Brett. The sculpture is built upon a custom-welded metal frame meant to function as a pedestal but look like a cage. 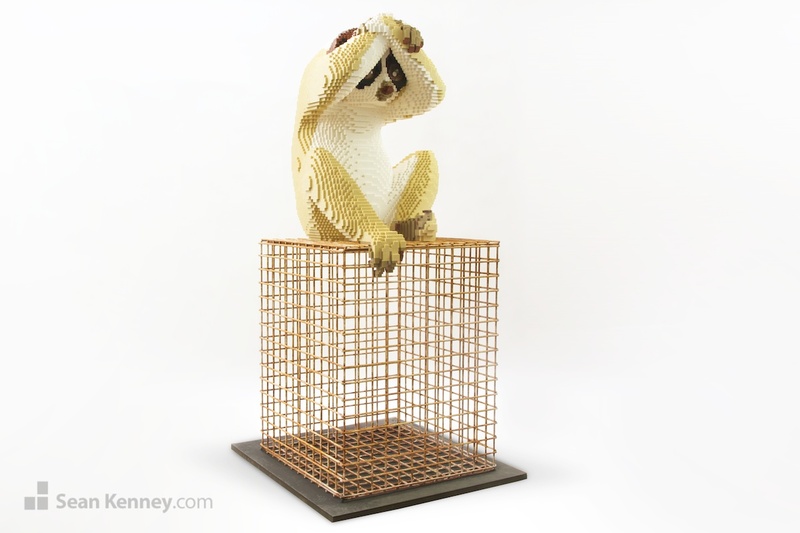 The cage is an aluminum frame with a patina made to look like rusted metal. 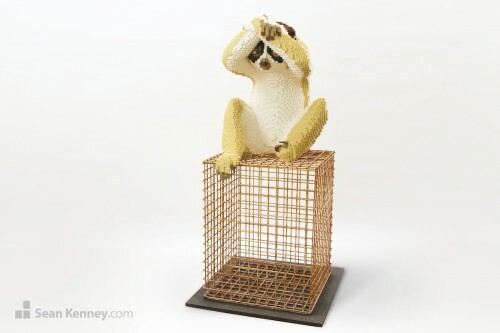 The cage integrates with a welded armature that works upwards into the Loris’ body to keep it fastened down.